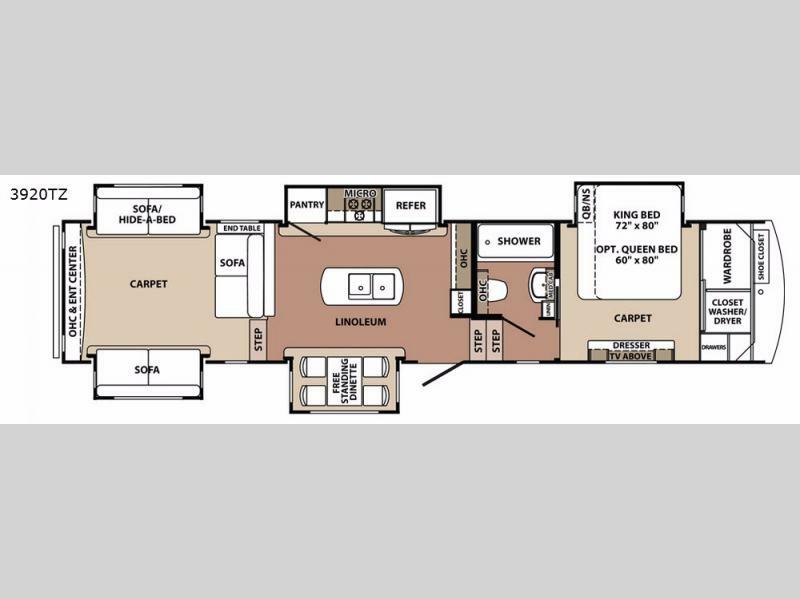 If you want a luxury fifth wheel that is affordable then this Forest River Blue Ridge 3920TZ is just what you're looking for! 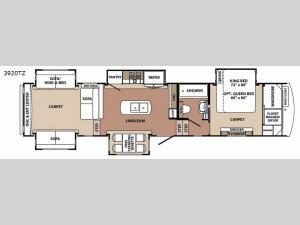 It features a kitchen island that will make meal prepping a breeze and allows you to freely move around. Meal time can now be family time when you dine at the free standing dinette. You are sure to enjoy relaxing on one of the two sofas or hide-a-bed sofa while sitting in front of the fireplace. After a long day in the sun, you can unwind and watch your favorite movie on the 42" LED TV.